One of my co-workers just finished reading American Wife by Curtis Sittenfeld. This novel is about George W. and Laura Bush, or as known in the novel as Charlie and Alice Blackwell. The novel focuses on Alice, who as a young adult was in a tragic accident that alters the course of her life. Years later, she finds herself swept off her feet by Charlie and into the world of politics. 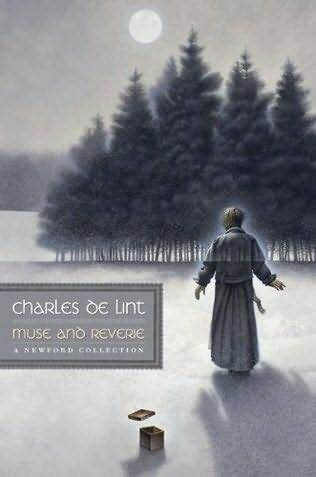 Here she discovers that she may love Charlie, but fundamentally disagrees with him. Now as the First Lady, she is facing questions that are impossible to answer. I was told that this is a fascinating story that kept my c0-worker reading late into the night. It is an interesting tale about the behind the scenes of a First Family. This novel is loosely based on the Bush family, but is still a work of fiction. Well, wouldn’t you know it we are still reading authors who attended the book festival. 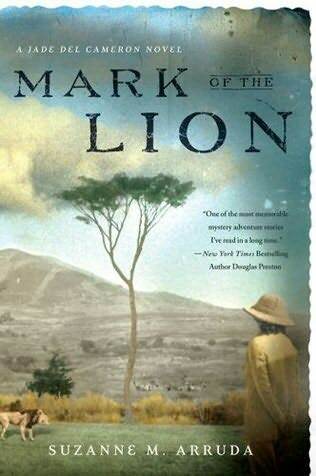 One of my co-workers just finished reading Mark of the Lion by Suzanne Arruda. This is the first book in the Jade del Cameron mysteries series. It is about a girl who is an ambulance driver during WWI. During the war Jade watches as her boyfriend is attacked in the air by another plane. His dying request is for Jade to find his brother and investigate his father’s death. This journey takes Jade to Africa. I asked my co-worker what she thought of the novel, and her exact word to describe it was, “AWESOME!”. In fact, she was so excited about this series that she had to have the second book immediately after finishing the first. She said that Arruda’s novel was very well written, with no grammatical distractions. As well as having a language that creates the most picturesque scenery, making the reader feel as if they too are in Africa. It is a novel worth reading. We have been adding books to purchase online at Biblio like mad these days. If you are not a local Tucson viewer, or even if you are, be sure to check out our books online. We have added several autographed copies from authors who attend the Tucson Festival of Books. We have been looking for a way to keep track of the books that we have read through the years, and stumbled across Good Reads. This site lets you rate all of the books that you have read, as well as marking books you plan to read, or are currently reading. It is also a social networking site, so you are able to compare your list with your friends’ list, join groups, and just get a feel for what others are reading. We have just started to play around with the site, so we not sure of all the great things that it is capable of accomplishing yet. We will keep you update along the way, but feel free to let us know if you find something new about the usability of the site. One of my co-works has been reading the Percy Jackson series with her son. Both readers have been enjoying the series, and are continually anxious to read the next book. In fact, I have been told that their other books have been put on hold because the Percy Jackson story is so captivating. As a reader, I always find it fun to discuss what I am reading with other people, so naturally I love that she and her son get together to discuss the book. This is such a good idea, and a great way to get kids reading. Not to mention, all generations have given positive feedback on this particular series. According to USA Today, the first three books of the Percy Jackson series are in the top ten bestsellers for mid March, and the last two are numbers eleven and twelve. That is pretty impressive for a series. Don’t forget, the store’s book club is meeting this Saturday, March 20th, at one to discuss The Elegance of the Hedgehog by Muriel Barbery. We will be reading Society’s Child by Janis Ian for April 3rd’s book club. We had a great weekend for the book festival with lots of sunshine, and thousands of people. According to the news, there were 80,000 people who attended the Tucson Festival of Books. Hopefully, some of you were able to come down and partake in the festivities. The Mostly Books crew had a great time selling books and meeting authors. We met Thomas Perry, Phillip Margolin, Alice Hoffman, Elmore Leonard, Masha Hamilton, and many others. And, we can’t forget all of the characters that came out for the event. We met Star Wars troopers, Clifford the Big Red Dog, the Hungry Caterpillar, The Berenstain Bears parents, and many others. Truly, this was an all out book event. As most of you are aware we had Janis Ian and J.A. Jance do a book signing at our booth on Saturday. It was a great turn out for the authors. In fact, everyone had such a great time that the ladies decided to come back and do an encore signing on Sunday (and I think they had an even better turn out). The weekend had a bunch of activities crammed into a small amount of time, and we are all exhausted, but we wouldn’t hesitate to do it again. Let us know what you thought of the festival and the authors talks. We would love to hear your feedback. Her Fearful Symmetry, Audrey Niffenegger’s, new novel is full of twists and subplots that keep the reader wanting to read faster and delve more fully into the lives of the characters. In this novel set mostly in London, twenty-one year old mirror twins learn of life, death, and relationships. Their flat inherited from their aunt, overlooks Highgate Cemetery and Niffengger interweaves its history into the plot. A compelling read that brings the afterlife into reality. Don’t forget the Tucson Festival of Books is in three days (March 13th and 14th). We will be having 20 authors at our booth for signings between the two days. Check past posts or FaceBook for a complete list and times. See you there.